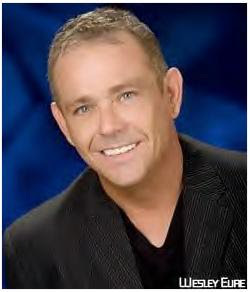 "Wesley Eure is best known to soap fans for his long run as Mike Horton on DAYS OF OUR LIVES which ended in 1981. He also made a huge splash as Will Marshall during his run in the popular Sid and Marty Krofft adventure series LAND OF THE LOST. But he also has an extensive background as an author, television writer, producer, lecturer and charity fundraiser. We Love Soaps has an exclusive three-part interview with the actor. Eure reveals aspects of his professional life, including the price he's paid for being an out gay man in the industry." In Part One, Eure talked about his background, how he came into show business and shared some fun stories from DAYS set. In Part Two, Eure recalled Mike Horton's "gay storyline" and revealed how and why he was fired from the soap. In Part Three, Eure spoke about the dear friend and former cast member he lost because he was gay, and how he has channeled the energy from the devastating AIDS crisis in the '80s into a positive.